Here is your chance to get the highly acclaimed Late Replies from Blue Cat Audio for only $99! (List $129). Discover this full-featured delay machine with unlimited powers today. Get Blue Cat’s Late Replies Here for only $99 ! 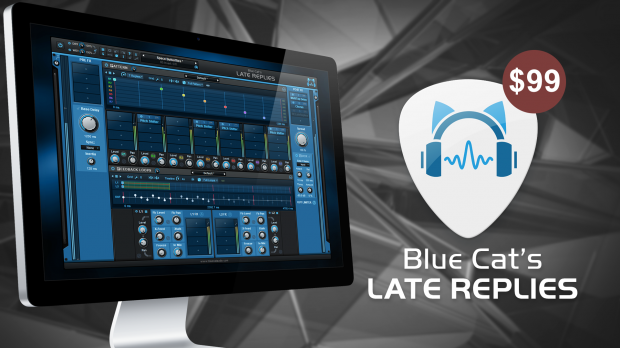 Blue Cat’s Late Replies is a powerful delay and multi effects plug-in that can be indefinitely extended by hosting third party VST, VST3 or AU plug-ins anywhere in the signal path. This entry was posted in DontCrack, Plug-ins, Promotions and tagged Blue Cat, Blue Cat Audio, Delay, dynamics processors, EQ and filters, Late Replies, modulation effects, multi effects plug-in, pitch and frequency shifters, VST hosting, VST3 Hosting, wave shaper. Bookmark the permalink.